Survival games challenge the players to survive as long as you can. If you are one of those players who love playing survival games and looking for the best one, then we have got you covered. In today’s post, we have listed the top best survival games for Android 2019! You must have a high-end device to play this game smoothly and in good graphics settings. If you don’t have, then we would not recommend you to play it. Ark Mobile lets you play as a solo or in PvP. In the PvE, there would not be other players to disturb you; you can explore, hunt, build, craft without any worry. However, dinosaurs do chase you in this mode too. So be safe. The PvP mode is very challenging as other players can strike down you, your base, and steal the resources. There are over 50 dinosaurs; you can ride dinosaurs, tame dinosaurs, and use them in the battle against other dinosaurs. It’s fun. Download – Here(Google Play Store). Ares Virus is another one of the best survival games for Android 2019. In the game, you are rescued by an NPC(Bodden). The NPC(Bodden) shelters you at his home. There you can build, craft a number of items for the survival journey. You will gather the resources from the map; full of zombies. The game offers good graphics, challenging missions, and a good survival gameplay environment. Download – Here(Google Play Store). Live Or Die: Survival by PRIDEGAMESSTUDIO is a top-down perspective game where you will play as a survivor in an apocalypse environment where deadly zombies are always hungry for the fresh blood. You will spawn on a random point. Build the base/shelter and store the precious items in the boxes. Keep in mind that other survivors can break down the base and steal the resources. You must upgrade the shelter’s wall, add defensive traps to strike down the intruders. After collecting the resources from the spawn map, you will have to explore new areas to hunt the resources; manufacture vehicles, weapons, medicines, and get ready for the zombie fights! Download – Here(Google Play Store). That’s pretty same as the above-mentioned game. This one comes with a western theme. In Westland Survival, you play as a cowboy and explore the deadly areas on the map. In all these areas, you will find the loot in locked chests. But all these chests are protected by the group of deadly zombies. You will need to craft good gears, armors(Clothes) to strike down these zombies. Obviously, it would not be easy. Always go with the essential items; medicines, food, water, weapon and grab the items. You will need these items for building, crafting, trading, manufacturing. Download – Here(Google Play Store). Last Day on Earth is one of the popular survival games for Android. Published by Kefir, the game challenges you to survive in an apocalypse world. You will build the shelter with the help of natural resources, maintain the character’s thirst, hunger and health. Food, water is extremely important. First, you will depend on the water bottles, then you will build own water source. For the food, you will build garden bed, campfire. Explore the bunkers, befriend pet, and survive as long as you can. Download – Here(Google Play Store). Jurassic Survival is among top best survival games for Android 2019. Basically, it is similar to the above-mentioned games. But instead of zombies, In Jurassic Survival, you will be facing deadly dinosaurs. You can tame the dinosaurs, build own village, craft techs to produce more items. There are plenty of things to do. If you are looking for a dinosaur survival game, then this one would be a good choice. Download – Here(Google Play Store). 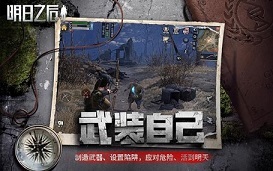 Shadows Of Kurgansk is one of the best survival games for Android 2019. Unlike the above-mentioned games, this one features the first-person perspective. It falls in the survival RPG genre. You will spawn on a random point on the map, that’s full of zombies. For the survival, you will gather the supplies, hunt the animals, craft weapons, and do whatever you can! It’s not easy though! If you are looking for an FPP survival open-world RPG, this one is for you. Download – Here(Google Play Store). LifeAfter is the latest survival game for Android, by NetEase Games. That’s the game every player wants to play; it has good graphics, open world gameplay, deadly fights, and more. However, at the time of writing this post, the English Version is not available. However, there is a guide on their FB page where you can understand all the aspects; button, menus. We would recommend you to play it; it’s the best survival game out there. Download – Here(Google Play Store). So these are the top best survival games for Android 2019. Do let us know which one is your favorite survival game in the comment section below.